Click the file above to open it, it is the General Arrangement sheet of the drawings! We now have the other sheets so we have scanned them all and now give them away to members at cost. It has been said by those who have searched yacht yards in vain that the only way to get your dream-ship is to build her. 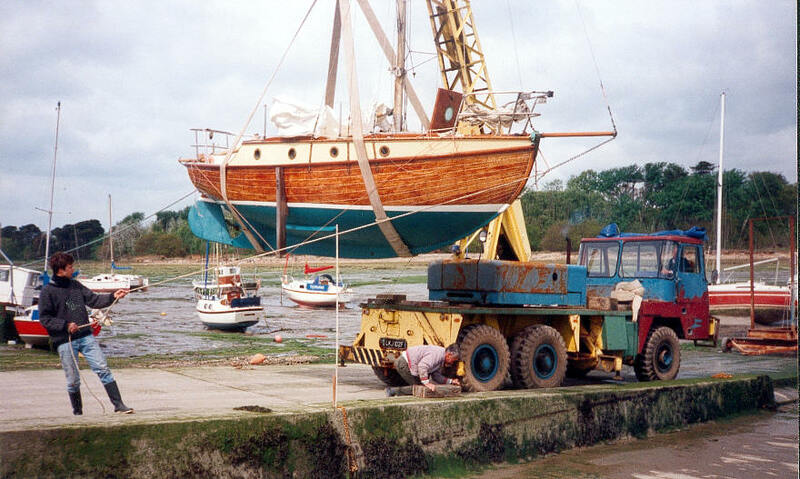 Most sets of plans designed for amateur building are for plywood and chine construction But some builders are keen to try their hand at a good round bilge boat with steamed and bent frames and normal planking. 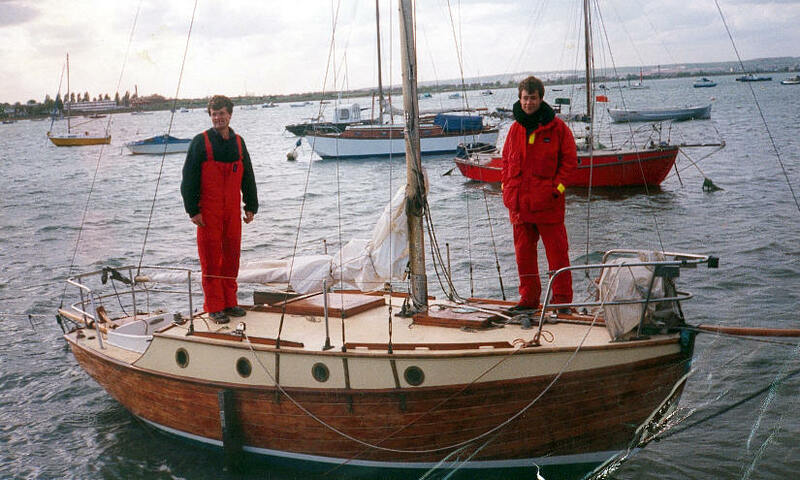 The YACHTING MONTHLY 17/20ft 3-Tonner is an able little cruiser capable of making sea passages under normal conditions, and she is almost ideal for two Although designed as a centre board boat the plans embody the necessary data for a fixed keel as well as a bilge keel version to meet the requirements of those who want a boat of deeper draught--one to sit upright on the ground. Very careful thought has gone into this design, and almost every detail, from the design of the hull and its form of construction to the two alternative rigs and they're rigging details, has been subjected to careful scrutiny and discussion The hull form was designed to make planking by normal method as simple and as little wasteful of timber as possible, hence the nicely rounded sections and total absence of reverse curve to the garboards The keel and deadwoods are built up so as to avoid the need for any large baulks of timber. The lines have been checked for balance, and whilst there is a clean run aft the quarters have been given sufficient fullness or bearing to prevent excessive squatting which is so prevalent in very small craft designed to conform to the current perfect balance theories Both the keel model and the C B model should prove stiff and able little boats at sea and handy on the helm. Here is no sketchy set of lines and accommodation plans with many points left to the builder to work out for himself With an admirable thoroughness which other contemporary designers might well copy, A H Buchanan has produced as complete a set of detailed drawings as we have ever seen for so small a craft They comprise not only details for building this sloop with a centre board and light draught, or with a fixed keel and drawing a foot more or again with either lead or iron keel, but the drawings include every relevant detail of material and construction needed by the experienced builder. Click the plans or images to enlarge. The ones on the right are reprints from the 1947 Yachting 'year book', kindly sent to me by a friend. Good year 1947!